There are a lot of ways to style your beard. You can trim it, add hair ties, get it cut in different fashions, and more. However, among all of the ways to style your beard, did you know that you can also color it? Just like you can color your the hair on your head, you can do the same to your facial hair as well. There are a surprisingly large number of dyes to choose from, and today we’re going to look at the 5 top picks for the best beard dye for sensitive skin. 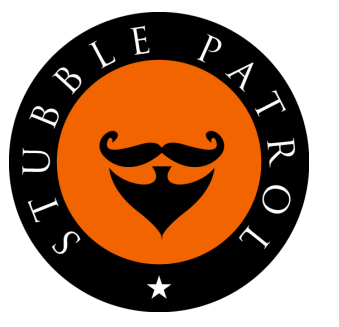 Lots of guys reading this could benefit from using beard dye, but whenever applying some sort of product to your face, you need to take extra care if you struggle with skin that’s not quite as resilient or tough as you’d like it to be. Safe beard coloring is something that every guy should partake in if they want to add a bit of flair or style to their beard or mustache, but if you’re someone who needs a little extra care, here are 5 dyes that are made for you. The first product on this list is one of many you’ll be reading about that come from Just for Men. Just for Men is the undisputed champion of the men’s facial hair dye market, and while some users have reported adverse effects with the product, the general consensus is that the company’s gel is safe and easy on your skin as long as you’re aware of the ingredients that are in it. Just for Men has a lot of different colors to choose from, and this is one of the reasons we recommend the brand more times than not. Getting the color that you’re after is one of the most important parts of any beard dye, and this is an area where Just for Men soars. This particular gel hunts for any grey hairs and colors them with a clean, natural look that won’t be an eyesore when compared to the rest of your naturally-colored hair. The gel starts to work within 5 minutes of application, and the non-drip shampoo-in formula means that the application process is dead simple and easy for anyone. Click here to view Just For Men Mustache and Beard Brush-In Color Gel on Amazon. When perusing the Internet for natural beard dye reviews, a brand that comes up the most frequently is Grizzly Mountain Beard Dye. Grizzly Mountain isn’t nearly as well-known as Just for Men, but the company is making a statement that very possibly will have a long-lasting effect - beard dye with 100% natural ingredients. All of Grizzly Mountain’s beard dye is free of any sort of chemicals, and the dye will never run, smudge, or look overly done like you can sometimes find in other, cheaper dyes. The chance of irritation when using Grizzly Mountain’s dye is extremely minimal, and for men with the most sensitive of sensitive skin, this is the dye that we’d recommend first. You’ll find a good selection of colors to choose from with Grizzly Mountain Beard Dye’s products, and while the choices may not be quite as extravagant as what Just for Men is offering, there’s still an ample amount to pick from. If you’re looking for something semi-permanent before you make the full jump to a full-fledged dye, we suggest checking out BlackBeard for Men’s Instant Brush-On Beard & Mustache Color. This product allows you to instantly add color to your beard or mustache with just a few strokes with the included brush and dye, and the final result is actually quite impressive. The color is hypoallergenic and also water resistant. 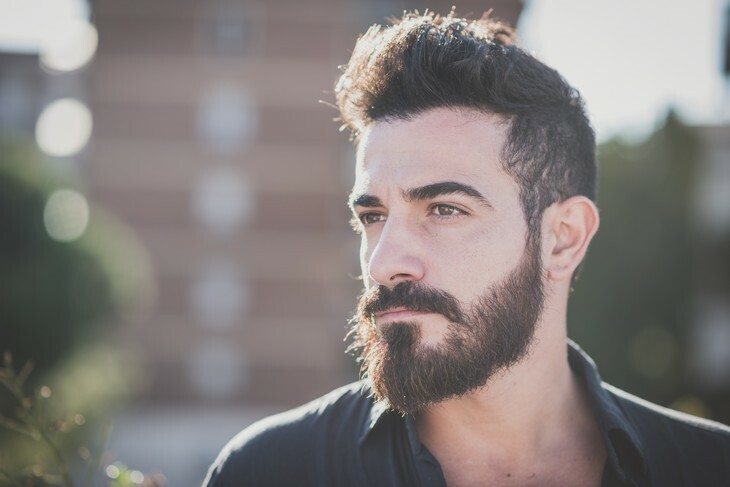 You’ll get color on your facial hair in a matter of mere seconds, and while it isn’t a permanent fix, it is a nice temporary solution to see how you might look with a more lasting approach. You won’t find any harsh chemicals with Blackbeard for Men’s facial hair color, and we also found that it is surprisingly gentle and easy on all skin types. These sort of products often have a tendency to not be the kindest to sensitive skin, but this is thankfully an exception to that rule. Click h﻿er﻿e to read more about Blackbeard Instant Brush-On Beard and Mustache Color on Amazon. The last two products on this list go back to the Just for Men brand, and the next one up is the company’s Control GX Grey Reducing Shampoo. There are a lot of men out there who are concerned over can you use hair color on your beard, and for those guys who aren’t quite ready to start applying any dyes or color to their hair, Just for ﻿Men’s ﻿Control GX is a great place to get things rolling. This product is technically a shampoo that you apply to your hair when in the shower, and although it’s made to be used with the hair on your head, it’s just as effective when using it with your beard. Simply rub this shampoo through your facial hair as you would with any other product, and as time goes on, you should start to notice that grey hairs gradually disappear. Results you’re going to get from this method aren’t as fantastic or speedy as using a proper dye, but you’ll see results nonetheless. As long as you aren’t using Control GX on facial hair that’s been lightened, bleached, colored, or highlighted, this is an awesome place to start for your grey-removing adventure. Ending this list with another Just for Men dye, we’re looking at yet another option that’s made for working with grey hair. However, rather than completing getting rid of it, Touch of Gray aims to only get rid of some of your grey hair. The idea here is that some grey hairs convey a sense of wisdom and knowledge, so by keeping some of it, you can have the appearance of being a younger man while also still knowing what you’re doing. Just for Men says that this dye lasts for up to 8 weeks, but you could get more or less time out of it depending on how quickly your grey grows back in. Some guys have reported that it takes a bit of time to get truly perfect results, but if you have patience and are willing to get the perfect grey and color mix, you can’t go wrong. Click here to see Amazon's current pricing on Just for Men Touch of Gray Mustache and Beard Color. So, what’s the best beard dye for sensitive skin? In all honesty, all 5 of the dye products mentioned here are things that we think are very deserving of that title. Facial hair coloring isn’t for everyone, but if the idea of adding some extra color to your beard or mustache appeals to you, the best place to start is with one of the 5 items you just read about. Pick one of these up, apply it to your beard, and you’ll be a brand new man before you know it.